Abraca...What? – "Abraca...What? can be an enchanting experience for those who are receptive to its charms. Laughter and merriment tend to fill the aether when the game is played by a spirited group. But the converse is also true: those approaching it with a dry analytical mindset may win the game, but in the end they'll lose all the magic. Abraca...What? seems to reflect back and amplify what its players bring to it. Speak fun, and enter." 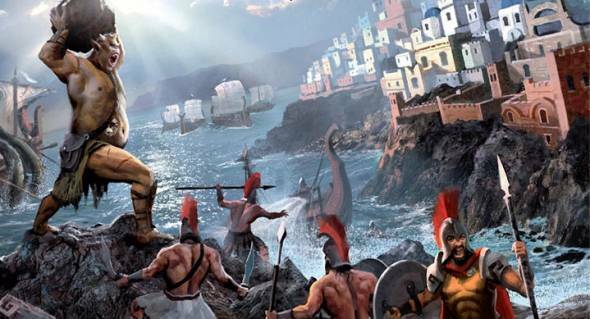 Cyclades – "Cyclades is a board game about winning the favor of the gods so you can control two metropolises and win the game. You must bid wisely to get the actions you need or keep your opponents from getting the actions they need." Extraterrestrial Grail – "The universe is about to end. For the many different alien races, the Grail is the one thing that promises life and safety. For some, the Grail is a spaceship. For others, it's a new planet. You have been tasked to search the stars and find the Grail before others claim it. Risk everything and take no prisoners to save your species from certain annihilation." Hold Your Breath! – "Instead of swimming to land and finding safety after a horrible shipwreck, pirates decide to have an impromptu breath holding contest  in shark infested waters  with monsters. You want to root for the pirates, but at the same time you cheer on the hungry sharks." King of New York – "In King of New York (KoNY), you take on the role of a monster  and you try to be either the first monster to 20 VPs or the only monster left standing in the five boroughs." 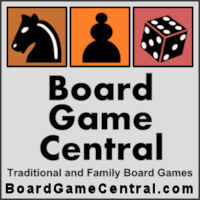 Lady Alice – "The game has some similarities to the classic Parker Brothers boardgame Clue. There are four separate decks, each containing one aspect of the mystery: culprit, location, time and missing object." La Isla – "La Isla is an imaginary island filled with extinct animals. You must capture the animals and study them to score points." Magnum Opus – "A card game like none other. On the one hand, it a discover-and-locate game using a grid of cards turned face down, three of which will unlock the secrets of the universe. On the other hand, Magnum Opus is a deck-building game as players collect cards and power-ups that will give victory to the craftiest of alchemists." Munchkin Panic – "Players work together to save the central castle from the onslaught of monsters. As long as at least one castle tower is standing after all the monsters are slain, the players win." Pandemic: Contagion – "players are the viruses which are attempting to exterminate humankind"
Pluto Attacks! – "Players will be taking on the roles of unlikely small town heroes. Each Hero card is unique and provides a specific number of dice for the 3 Skills used in the game. The Skills are Popularity, Brains, and Muscle. Or, if you prefer, the ability to communicate, figure things out, and use brute force to get things done. Each Hero is a mix of these three Skills, with obvious strengths and weaknesses in certain areas." Rolling Japan – "Rolling Japan is good. It's very light, which may seem obvious for a dice game, but a lot of recent dice games have been fairly complex. On each turn someone rolls dice and each player marks off something on their individual score sheet." Sheriff of Nottingham – "In Sheriff of Nottingham you try to sneak goods past the sheriff and into your market. If your goods are inspected and you are lying, you pay. If you are being honest the sheriff pays you." Takenoko – "Takenoko is a fun family board game where players build a bamboo garden  with the most colorful bamboo you've seen." The Staufer Dynasty – "The Staufer Dynasty is a seriously complex game that can be played in a fairly short amount of time. There are many intertwined mechanisms that work together to form a tight game system." Notes: All images and review quotes excerpted from their respective sources. Amazon links via the Amazon Associates program. Purchasing games through these links helps to support this web site. Thank you for helping support small web sites like ours!